The Pantawid Pamilyang Pilipino Program (Pantawid) has been implemented in the region since 2008. Its 11 years of remarkable service to the vulnerable families is made possible through the unwavering determination and diligence of its field workers who serves as the backbone of the operation. As the program prepares to transition families from dependent to self-sufficient and to ultimately exit from the program, it is imperative to look back and recognize the sacrifices, triumphs, contributions and inspiring stories of these workers who made it all happen. 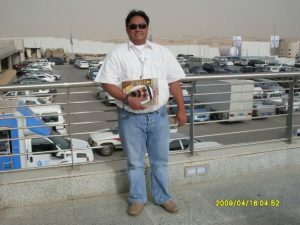 Jose Alvin Antiola, who is an electronics and communication engineer, did not find accomplishment in his chosen profession even when he was working in Kingdom of Saudi Arabia as a Sales Engineer. In fact, despite the generous salary, he was not able to save up enough for him to retire sumptuously. 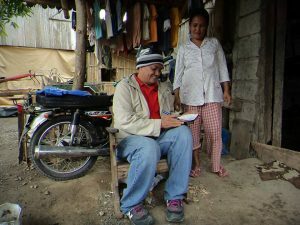 Originally from Tondo, Manila, he moved to Tuguegarao City to start building a family envisioning a slow rural life away from the tumultuous city life. 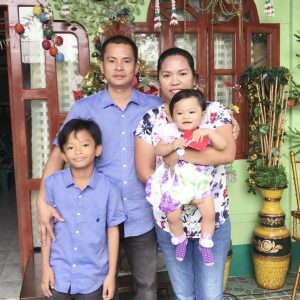 While his spouse Roxan worked as an OFW at Tel Aviv, Israel he settled for a local employment to be able to watch over their three children; Chandler, Charlemagne and Charlize. He started in the Department as one of the encoders for the National Household Targeting System for Poverty Reduction (NHTS-PR) in 2011. Learning the ropes quickly enough, he applied for the position of Social Welfare Assistant after three months where he remained for almost three years. Not a stranger to the rigors of ground work, he continued to provide excellent service until he was promoted as a Municipal Link (ML) in 2013. As the program expanded to cover more municipalities, he was assigned to various locations, sometimes even areas most field workers would be anxious to be transferred to. Unfazed, he boldly established himself in municipalities such as Baggao, Lasam including the geographically isolated and displaced islands of Calayan where he committed to serve for more than 3 years. Alvin finds fulfilment working on field notwithstanding the difficulty in locating beneficiaries living in far flung areas like Baggao, Cagayan. Discovering solace in the warm hospitality of the people, he strengthened his linkages with the local government as he moved from the four islands Calayan, Camiguin, Dalupiri and Babuyan just to be able to conduct Family Development Sessions (FDS), Case Management, Compliance Verification and Monitoring and Social Welfare and Development Indicator (SWDI) administration. 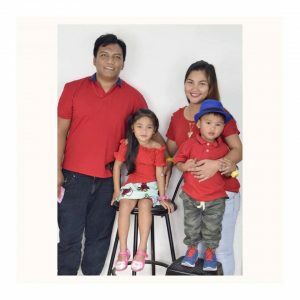 Remedios Castañeda revels at being a mother to her 2 children, Ethan James and Loiuse Anaiah, most of all but being a Social Worker occupies a special place in her heart. She started out as a Community Extension Service Coordinator at St. Paul College of Makati from 2005 to 2009 but eventually wanted to be home-based in San Pablo, Isabela. Remedios maximizes her time with Achilles and kids Ethan James and Louise Anaiah whenever she is not on field. In 2010, she finally received her break as she was employed as an ML for the Department. However, instead of being assigned in San Pablo, she was instead sent to San Guillermo, more than 125 kilometers away. For a while, she endured being away from home, persevering over the 3-hour commute just so she could come home to her family every night. However, when she got pregnant with her second child on 2016, the risk on her and her child’s health became her husband’s cause of concern so much that it had become a cause of their bickering. This did not deter her resolve to remain steadfast in her commitment to serve. She instead devoted more of her time to work, even sometimes failing to attend to her eldest child’s school events. Eventually, her husband began to accept the nature of her job and her vital role as one of the program’s ambassadors. For Remedios, being assigned in San Guillermo has taught her to persevere over difficulties. She was re-assigned to Cabagan, Isabela on January 2018. Surprisingly, she left San Guillermo with a melancholic heart as she looks back at what she has established there for the past few years but also being hopeful and excited to face the new chapter of her life. Christopher Aman, also a Social Worker, began his involvement in 2009 as one of the Area Supervisors who facilitated the validation of the “Set 3” beneficiaries in Calayan, Cagayan before he became an ML for the Pantawid Program. In early 2010, he was assigned at Kayapa, Nueva Vizcaya where he remained until 2014 when he was transferred to Aritao, Nueva Vizcaya for the next four years. A native of the mountainous terrain of Sta. 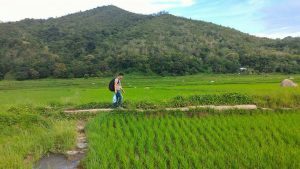 Marcela, Apayao, he says that there was a considerable amount of adjustment he had to undergo before he was able to fully assimilate to the culture of the Kalanguya-dominated towns. His natural ability to mingle with the beneficiaries enabled him to quickly build their trust and confidence in him such that his counsel was constantly sought thereafter. His extensive experience in the program qualified him to provide guidance to junior field workers when necessary. In 2012, Shayne Corpuz, the strong-willed and vigorous ML of Gamu, Isabela caught his fancy. Despite being assigned in different provinces, he was determined at pursuing her that he devoted himself at being the best not just in their field but also as a suitable partner for her. He prevailed and in June 28, 2015, they were married. Presently, Christopher is assigned in Echague, Isabela with his 3-year-old son, Sean Carlo, while his spouse who has since separated from the Department is training under the Philippine National Police. In 2015, Christopher and Shayne married with the birth of their son, Sean Carlo in the following year. “For 9 long years I have remained a field worker and still feel passionate with what I do because being in the grassroots, I am able to be a catalyst for change. Seeing these families rise from poverty gives me a sense of pride, their triumphs are also my achievements,” He says. A simple girl from Camalaniugan, Cagayan, Lea Mae Tuscano-Arao finished her Bachelor’s Degree in Social Work at the International School of Asia and the Pacific in 2013. Later that year, she joined the Department as an ML and was assigned at Alicia, Isabela. Being a solo-parent to Jessy Liana at that time, her main struggle was being alone in her rented home away from her daughter. To counter the loneliness, she would extend time with the Pantawid beneficiaries, regarding them as her second family. From left: Cecil, Jessy Liana, Caesar Liam Duncan and Lea spends quality time in Camalaniugan whenever they can. She met fellow Pantawid worker, Cecil Arao, sometime that year while securing her income tax returns. The acquaintance blossomed into a remarkable relationship and on July 28, 2015, they married. Cecil, familiar with the workload in the program, had no issue with their areas of assignment, with him at the regional field office and Leia in her area of assignment. With the birth of her second child Caesar Liam Duncan in 2015, Lea’s mother moved to Alicia to help with child care. In 2018, after almost 5 years in Isabela, Leia was finally re-assigned to Aparri less than 20 km from her parent’s home where she now lives with the children. 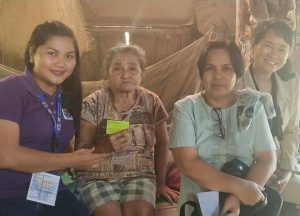 One instance of her commitment was on March 21, 2019 when she and Land Bank-Aparri Branch Manager Marie Babeth Nicolas personally delivered the EMV chip-enabled cash card of Carmencita Sibayan, one of her monitored grantees from Backiling, Aparri. She had known that Carmencita was involved in an accident on April 16, 2018 where one of her legs was put in a cast for a couple of months. “Maraming salamat po sa inyong tiyaga na ako’y puntahan. Mayroon na akong pagkukunan ng pambili ng gamot at gastusin ng aking mga apo sa eskwela. Pagpalain nawa kayo sa inyong kabutihan. ” (Thank you for the compassion in coming over to my home. Now I have the means to buy medicines as well as to pay for the education of my grandchildren. May the Lord bless you in all your kindness). Says Carmencita who proudly shows her cash card. Lea (far left) together with LBP Bank Manager Marie Babeth agreed to deliver Carmencita’s (center) cash card personally in consideration of the latter’s injured leg. Alvin, Remedios, Christopher and Lea, few names out of the hundreds of Pantawid Pamilya workers dedicated in ensuring to cut the cycle of poverty. Each with a unique story to tell, each more than just field workers.